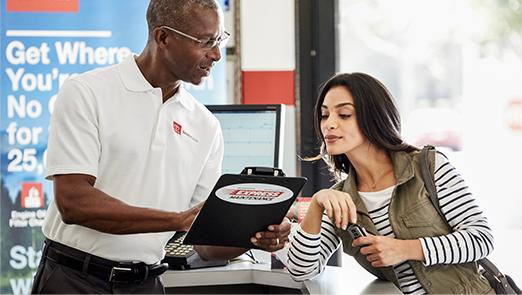 If you’ve been looking for a Hollywood vehicle service department that can take care of all your car service needs at an affordable price, then you’ll definitely want to take a look at the “Good, Better, Best” service pricing structure at Toyota of Hollywood. Whether you’re in need of a tune up or different types of repairs, our factory-trained and certified technicians have you covered! Decide on the best plan for your budget and needs with our 3-tier pricing structure. 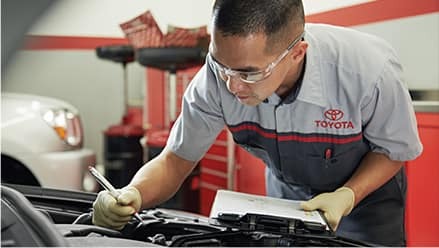 Good – For car owners on a budget, our “Good” service offers prices competitive with other aftermarket repair facilities while still giving you access to a Toyota certified facility staffed by factory-trained technicians. Better – Move up to the “Better” option for car maintenance options that strike a smart balance between being budget-friendly and offering longer warranty coverage and premier services. Best – At the top of the lineup, our “Best” option gives you access to a wide range of Toyota services and features that aren’t available at aftermarket shops, including Toyota authentic OEM parts, extended warranty coverage, and exclusive services like loaner vehicles and car washes with service. Schedule an Appointment at Your Hollywood Vehicle Service Department Today! Monday – Friday, 7:00 a.m. – 6:30 p.m.
Saturday, 7:00 a.m. – 5:00 p.m.
You can also schedule service online or give us a call at (877) 460-9043. 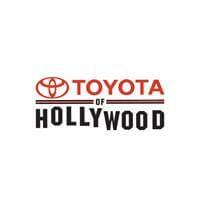 Our dealership is conveniently located at 6000 Hollywood Boulevard in Hollywood, CA.